Last year’s prom dress? You’re not going to take it to college (really, you won’t). So why not donate your dress and accessories to someone who’ll love them? But that outfit she’s rocking for prom–or the one she rocked last year–isn’t going to make it to college. There’s no room for it in her dorm room closet or her college social calendar. So why not donate that knock-out ensemble to a good cause? College Liftoff is hosting a Dress Drive from now through the summer, when your daughter will be cleaning out her closet for the upcoming school year. Donate your gently used gowns, evening shoes, bags and accessories to the Fairy Goodmothers through College Liftoff. Every Tuesday through this summer from 9-5, bring your daughter’s clothes by our office (or make an appointment for another date or time. Call Alexandra at 614-329-6633 x 705 to set up an appointment). Fairy Goodmothers accepts gently-worn or new current styled prom gowns, strappy evening shoes, purses, wraps and jewelry. Your dress donation will be gifted, free-of-charge, to a Central Ohio High School girl who may not have the means to purchase one on her own. Any dress received that is not prom-appropriate may be donated to another charitable organization, or may be sold at a special dress sale so that funds can be used to purchase additional dresses for Cinderella’s Closet. Please place donated dresses on hangers and accessories in zip-top bags! 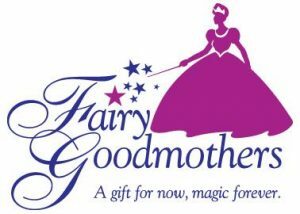 For more information about Fairy Goodmothers, find them on Facebook .Thank you for your support!